Now that there finally is a bill, it is clear who has the greatest reason to oppose the so-called Family First Prevention Services Act: environmentalists. That’s because of how many forests will be destroyed to provide the paper for all the new plans, reports and assorted other documents that the bill mandates as a substitute for real change. In some respects, discussed below, the bill is an improvement over previous versions, and I’m sure those who worked so hard to craft this legislation meant well. But mostly, the Family First Act proposes to solve the problems of child welfare by throwing paperwork at them. Provide a plan for this, a certification for that, and a report on something else, and America’s foster-care-industrial complex can keep doing what it’s been doing for more than a century: failing vulnerable children. The bill also enshrines in law the double standard that pervades American child welfare: services to keep families together must meet tests that are almost impossibly high before being deemed “evidence-based.” But to keep right on using the worst form of care, group homes and institutions, no evidence is required; just more paperwork. So it’s no wonder most of the foster-care-industrial complex favors the bill, and those who don’t want to make it even weaker. One major supporter of the bill is the Alliance for Strong Families and Communities, a group that has little to do with either one. Rather, it is a trade association made up largely of private agencies that oversee foster homes and run group homes and institutions. These agencies typically are paid for each day they hold a child in foster care. They know a good deal when they see one. In the earliest stages of developing what would become the Families First Act, there was an idea for dealing with the misuse and overuse of institutions that was simple and smart: Sen. Orrin Hatch (R-Utah) suggested simply refusing to fund such placements for any child under age 13. Other smart proposals over the years have included reducing federal aid for institutionalization month by month – the longer the placement the fewer the dollars. But once the foster-care-industrial complex got through with it, what emerged was a muddled mess. § Hire nurses during working hours and have them on call the rest of the time. § Get a rubber-stamp seal-of-approval from an accrediting agency. I say rubber-stamp because one of the groups a QRTP can choose is the so-called “Council on Accreditation.” COA is a creation of another agency trade association, the Child Welfare League of America. Its “site visits” are announced well in advance and “accreditors” interview people who can be hand-picked by the agency under examination. Everything else is based on the agency’s paperwork. COA doesn’t accredit agencies, it accredits file cabinets. Perhaps that’s why, in the 1990s, COA accredited a private agency in Ohio in which, the Dayton Daily News found, children lived in squalid group homes and the agency director had a conviction for contributing to the delinquency of a minor. More recently, COA accredited this agency. Take these simple steps and voila! That cruddy old group home is now a “Qualified Residential Treatment Program”! Similarly, the Family First Act goes on for paragraphs about how an independent “qualified individual” will determine if a child needs to be institutionalized; unless, that is, the public child welfare agency gives its solemn word that someone associated with the institution itself can do the evaluation and still be objective. Then, the independence requirement can be “waived” by the Department of Health and Human Services. In short, the Family First Act institutionalizes the process of institutionalization. Perhaps that’s why the Congressional Budget Office estimates that, were it to become law, the Family First Act would barely reduce the proportion of institutionalized foster children on any given day. It would decline from the current 14 percent to 11 percent, over ten years. Yet even these minimal requirements apparently are too onerous for some providers of institutional care and their acolytes in government. What is missing in these requirements for becoming a “Qualified Residential Treatment Program” is anything forcing the “providers” to prove that what they provide actually helps children. § A review of the scholarly literature by the office of the U.S. Surgeon General found only “weak evidence” for the success of residential treatment. § Still another study, of children institutionalized for mental health problems, found that seven years after discharge from residential treatment, 75 percent of the children were back in the only settings they could understand: institutions. They were in psychiatric centers or jails. Some of those who think even the minimal restrictions in the Family First Act go too far don’t even pretend that institutionalization is good for children. Rather, they claim there’s no alternative because they can’t recruit enough foster homes. But, as I’ve noted before, the real problem is not too few foster parents, it’s too many foster children. For example, Los Angeles seems to be the epicenter of the whining about the congregate care restrictions. But Los Angeles takes away children at triple the rate of Chicago, even when rates of child poverty are factored in. Yet it’s Illinois where independent court-appointed monitors have found that reforms emphasizing family preservation improved child safety. That brings me to the second set of failings in the bill: the increased support for prevention is minimal and largely misdirected. Even worse, the kinds of programs that can be funded are limited to three categories, two of which, mental health and parenting skills, are precisely the “public health approach” that has failed for more than a century. So after the reams of new paperwork required under this section are filed and it turns out that this failed approach failed again, it will become an excuse for the advocates of traumatizing children with needless foster care to run back to Congress and demand even more money to warehouse even more children in foster care. This bill doesn’t aid alternatives; it sets them up to fail. In contrast, even though study after study finds that 30 percent of America’s foster children could be home right now if their families simply had decent housing, housing aid was eliminated from the bill early on. There is not even funding for the kinds of simple, sensible and very inexpensive approaches advocated by Joanne Samuel Goldblum in the Chroniclelast month. So again, it’s no wonder the CBO thinks the new spending on prevention will be a drop in the bucket – an average of $130 million per year. Even with that new funding, the federal government still would spend vastly more on tearing families apart than on trying to keep them together. There is one thing the bill gets right: the third category of funds for which states could get reimbursement under the Families First Act is drug treatment. That almost certainly got into the bill, and probably has appeal to most members of Congress, because the latest “drug plague” – opioid addiction – has a whiter, more affluent face than the drug plagues that preceded it. The other argument for the bill is that it’s better than nothing, and a floor on which one can build in the future. But it’s not better than the waivers available to states now, which allow them to spend a lot more money on a much wider variety of alternatives to foster care. The waiver process, which is set to expire in 2019, also includes a vital incentive that Family First Act lacks: it caps the giant open-ended entitlement to foster-care funding. This bill is more likely to be a ceiling than a floor. Once the bill becomes law, all the pressure for real reform would go away, and the ceiling will only get lower. Because from here, the bill can only get worse. Having come so far, the members of Congress behind this bill are likely to appease those who want to make the congregate-care restrictions even weaker, rather than see the whole thing fall apart. I’ve written elsewhere about the best long-term alternative: end the foster-care entitlementand turn it into grants indexed to inflation that states can use for foster care and for better alternatives. § Salvage the one part of the Family First Act everyone seems to agree on and provide $130 million per year in additional funding for drug treatment – targeted toward families at risk of losing their children to foster care. § Restore the federal government’s authority to grant child welfare waivers, which has expired, with current waivers scheduled to end in 2019. As for whether we ever can really get major reform, there is one hope: the lookback. That’s the clumsy, bureaucratic detail that has the effect of reducing the number of children eligible for federal foster-care assistance by a tiny amount each year. If nothing at all is done, the federal government will be out of the foster-care funding business in about half a century or so. The longer this persists, the greater the pressure on the foster-care-industrial complex to accept real reform, not a pale imitation like the Family First Act. And in Youth Today, a look at how Temporary Assistance for Needy Families, a program meant to help poor people become self-sufficient became a child welfare slush fund. Consider two approaches to working with troubled children and families. Though they deal with two different points in the process, the mindset in the first example has dominated our approach to child welfare. So no one should be surprised that neither prevention nor foster care has worked too well. We can do a lot better. But even now, our wretched approach to prevention beats throwing more children into foster care. Sean Hughes, who has written a number of columns on finance reform points to a 2015 study by the Children’s Data Network (CDN) showing that 60 percent of infants “reported” as being maltreated – meaning only that someone picked up a phone and called a hotline – are reported again within five years, suggesting that leaving those children in their homes was unsafe. But even assuming results from this one study are typical, they tell us nothing. That’s because, as Prof. Emily Keddell of New Zealand’s University of Otago explains, “child abuse” is such a broad, vague concept, so prone to whim, prejudice and agency practice patterns, that reporting and even substantiation are meaningless measures. If an infant’s poverty is confused with neglect and a few years later that child still is poor, it’s hardly a shock that the infant will be reported as “neglected” once again. The same CDN study found that 90 percent of reported cases receive no follow-up. That’s probably because most of the reports were false. But even in so-called “substantiated” cases, it’s been estimated that only 40 percent get any kind of follow-up. One can’t say “prevention” is failing where prevention was never tried. What are the alternatives to a failed approach to prevention? One is to give up and consign even more children to foster care. But 150 years of experience suggests that doesn’t work well. Consider two studies, from 2007 and 2008, of more than 15,000 children in typical child welfare cases. They compare children placed in foster care to comparably maltreated children left in their own homes. The results aren’t even close. Children left in their own homes are far less likely to become pregnant, far less likely to wind up in the juvenile justice system, far less likely to commit crimes as young adults and far more likely to hold onto a job than comparably maltreated children placed in foster care. But what about drug abuse? Don’t we have to take children from those parents? In 1998, University of Florida researchers published a study of two groups of infants born with cocaine in their systems. One group was placed in foster care, the other with birth mothers able to care for them. After six months, the babies were tested using all the usual measures of infant development: rolling over, sitting up, reaching out. Consistently, the children placed with their birth mothers did better. For the foster children, being taken from their mothers was more toxic than the cocaine. The way these studies were conducted also makes it impossible for foster-care apologists to use their usual excuse for dreadful foster care outcomes: the one where they claim it must have been because of what those terrible parents did before we “rescued” their children. And of course, all this is before we even reach the issue of the highrates of abuse in foster care. Foster-care apologists also like to claim the outcomes wouldn’t be so rotten if we just “fixed” foster care. But another study in 2005, which found only 20 percent of former foster youths do well in later life, came up with a mathematical model in which they estimated how much better the outcomes would be if foster care were made perfect. So if you could fix every problem in foster care – and that’s worth doing, because some children really do need to be removed from their homes – it would still churn out walking wounded three times out of five instead of four times out of five. The only real way to fix foster care is to have less of it. This does not mean the only alternatives for vulnerable children have to be a bad prevention system and a worse foster care system. We can build a better system if we insist on one fundamental change: Whatever we do has to be for the families, and not for ourselves. Our current system is designed more to make the helpers feel good than to actually provide help. This is rooted in our American habit of medicalizing our social problems, an approach that helps primarily the helpers and lets the rest of us off the hook for poverty itself. When Reagan budget cuts led to a resurgence of hunger and homelessness, we rushed to blame it on “mental illness.” Gun violence out of control? Never mind the guns; it’s a mental health problem! We approach “child abuse” the same way. Nineteenth century “child savers,” as they proudly called themselves, deemed the poor to be genetically inferior. Twenty-first century child savers view them as psychologically inferior. As Barbara Nelson documents in her book Making an Issue of Child Abuse, when Sen. Walter Mondale wanted to pass what became the Child Abuse Prevention and Treatment Act, he had to pretend that poverty was not an issue in order to avoid a veto by President Nixon. And sure enough, the so-called “Commission to Eliminate Child Abuse and Neglect Fatalities” tells us over and over that we need a “public health approach” to child abuse. The result is a prevention regime built around “counseling” and “parent education” that actually can make things worse. Take an impoverished single mother who starts to feel sad because she is holding down two dead-end jobs and sleeping with the lights on to try to keep the rats from coming out at night and biting her children in the only housing she can afford. She may be diagnosed with “apathy-futility syndrome” – I’m not making that term up – and forced to schlep downtown to counseling sessions and parent education classes, when what she really needs is a better job so she can afford a better place to live and get a little rest. If that sounds familiar, it may be because Molly McGrath Tierney, director of the Baltimore City Department of Social Services, recently offered a similar take. So we wind up with social workers who see driving children as a waste of time instead of a wonderful opportunity to talk to those children and find out how to help fix their real problems. Doing this while actually helping clean a house works even better. So it’s no wonder that IntensiveFamily Preservation Services programs that follow the Homebuilders model are among the very few child welfare interventions for any purpose that gain high marks from the California Evidence-Based Clearinghouse for Child Welfare. So, how do we fix prevention? By replacing the “public health approach” with a social justice approach. We don’t have to wipe out poverty to significantly reduce child abuse, just ameliorate its worst effects. § Since another common reason for child removal is “lack of supervision,” get serious about providing child care for impoverished working families. § Give caseworkers access to “flex funds,” one-shot infusions of cash to help families get through crises – it’s a key part of the highly successful child welfare reform in Alabama. Or just give poor families a little more money every year. § Get serious about drug treatment – because it’s extremely difficult to take a swing at “bad mothers” without the blow landing on their children. § Provide high-quality defense counsel for families, like this, so they can craft alternatives to the failed cookie-cutter “service plans” often offered by child welfare agencies. And when there really is a need to combine hard services with counseling and parent education, do it while driving, or better yet, do what that Homebuilders worker did: Start with the kitchen. ● Did Cincinnati police cave in to the virtual lynch mob? We all know the story, right? Four-year-old gets into gorilla enclosure at the Cincinnati Zoo. Gorilla’s behavior endangers child. Zookeepers kill gorilla. Oh, and I almost forgot: A virtual lynch mob of more than 430,000 people decide that they would never, ever make the kind of mistake the child’s mother made when she lost track of the boy. They’ve signed a petition demanding that the mother be investigated for child neglect. The Cincinnati police initially said there would be no investigation of either the parents or the zoo. Now they say they’ll investigate the parents. The reason to call off the police investigation and leave the parents alone is not for the sake of those parents. It’s because the child has suffered enough. The last thing this child needs is to be questioned by police and/or child protective services workers. The last thing he needs is any more stress on his family. And the last thing he needs is to be put at even a slight risk of being consigned to foster care – where the chances of actual abuse are so high. This is especially important for a child of this age – because at this age children tend to interpret anything that happens to them as their fault. So no matter how hard caseworkers and police may try to avoid it, he will interpret the questioning and, God forbid, the foster care as somehow his fault. We believe that this negligence may be reflective of the child's home situation. We the undersigned actively encourage an investigation of the child's home environment in the interests of protecting the child and his siblings from further incidents of parental negligence that may result in serious bodily harm or even death. But this incident is a sign of something deeper to exactly the same extent that any mistake any parent has made while supervising a child is a sign of something deeper. So don’t send the police in to do the real damage of an investigation because of a mob’s fervid imagination. The petition isn’t really about protecting the child at all. That’s clear from the title of the petition, “Justice for Harambe” – that’s the gorilla. If the top priority really were the child, you’d think that would get a mention in the title. ● Four-year-olds tend to be small. ● Four-year-olds tend to be curious. ● Four-year-olds often can move at something approaching the speed of light. The New York Times puts the whole thing in perspective quite well here. The column cites an essay from Cincinnati Enquirer opinion editor Cindi Andrews who initially condemned the mother – until she rememberd the time she made a very similar mistake. If not for good luck and a driver with good brakes the person on the receiving end of all that condemnation - while possibly mourning the loss of a child - could have been she. But she probably wouldn’t have faced such condemnation. Because she’s white. As in everything else in American life, race does matter here, as New York Daily News columnist Shaun King shows us in this column comparing the response to the Cincinnati parents to the response in other, similar cases. And there’s scholarship to back up King’s impression. No, as far as I know, no one has done a study of how parents are treated when their children fall into zoo enclosures. But there is a study of who gets prosecuted in a similar kind of tragedy that can be viewed either as an accident or negligence: Children who die when left in overheated cars. One particularly important—and disturbing—finding was the disparate treatment of parents from different socioeconomic groups: parents in blue collar professions and parents who were unemployed were four times more likely to be prosecuted than parents from wealthier socioeconomic groups. Unfortunately, even a writer who wants to call off the virtual lynch mob threw fuel on the fire. It just seems a little puzzling to not be able to keep an eye on your child especially in a place where killing beasts — gorillas, lions, wild African dogs, and wolves — roam. And the missing child must have been missing for some time to get through the barriers on his own. This was an open exhibit! Which means the only thing separating you from the gorillas, is a 15 ish foot drop and a moat and some bushes!! This mother was not negligent and the zoo did an awesome job handling the situation! 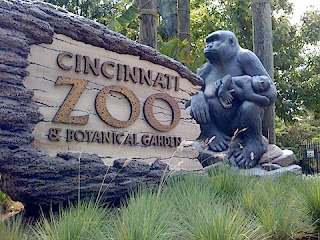 Abad-Santos argues that the mother in this case must have been extraordinarily negligent because this has never happened before at the Cincinnati Zoo. But that doesn’t consider all the near-misses we may never know about – all those children caught in the nick of time, or a few seconds before the nick of time, in zoos and so many other places. Go back and reread Cindi Andrews column, Alex. It's not like [the mother] lost track of her son and he bumped his head on a kitchen table or burned himself on a hot pan. On the contrary, that’s exactly what it’s like. But the place where it happened ratcheted up the consequences and turned the mother into a target for the mob – something that, do his credit, Abad Santos decries. So now, let’s face up to one of the hardest truths of all: Sometimes bad things happen and no one may be to blame.